Help Ben 10 train for the next archery tournament in town. He wants to be first, so his training is really hard bursting floating balloons isn't easy at all! The evil hordes are approaching your kingdom! Choose one of the three archers available and defend your castle. Don't let anyone get too close! Complete every stage in order to save your girl! Reach the exit in each level by making the screen shift and avoiding the traps. Good luck! In this archery game you'll have to take wind into account. Aim and have a nice time bursting as many balloons as you can. Each magic object is an ingredient needed for a love potion. The level of love you get will depend on the order of the ingredients. In this second installment of the game based on Avatar, you can choose a kingdom and get ready to destroy your enemy's castle before they destroy yours. 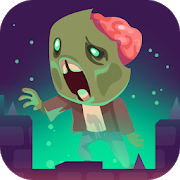 You'll control a zombie named Kem whose wife, Val, has been kidnapped by some evil monsters. Help Kem rescue her! You'll have to make way through difficult stages, making boxes explode and dodging dangerous obstacles in order to save Val from evil. In this game with manga aesthetics you'll control cupid. Prove your accuracry and aim at the hearts!